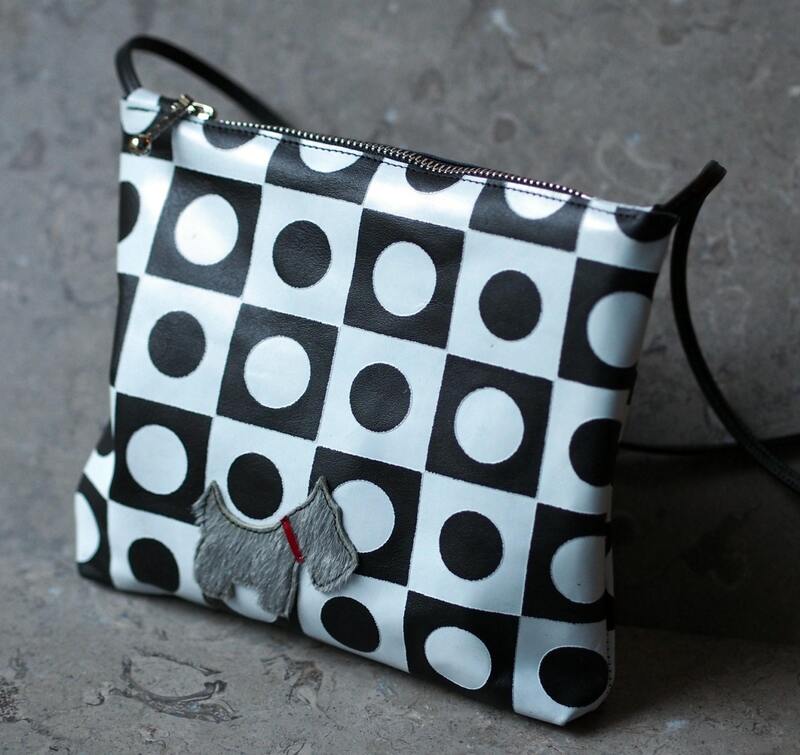 This "mod check" black and white leather bag includes laminated cotton in a fun scottie dog print. The dogs in the print and white or black on a red background. 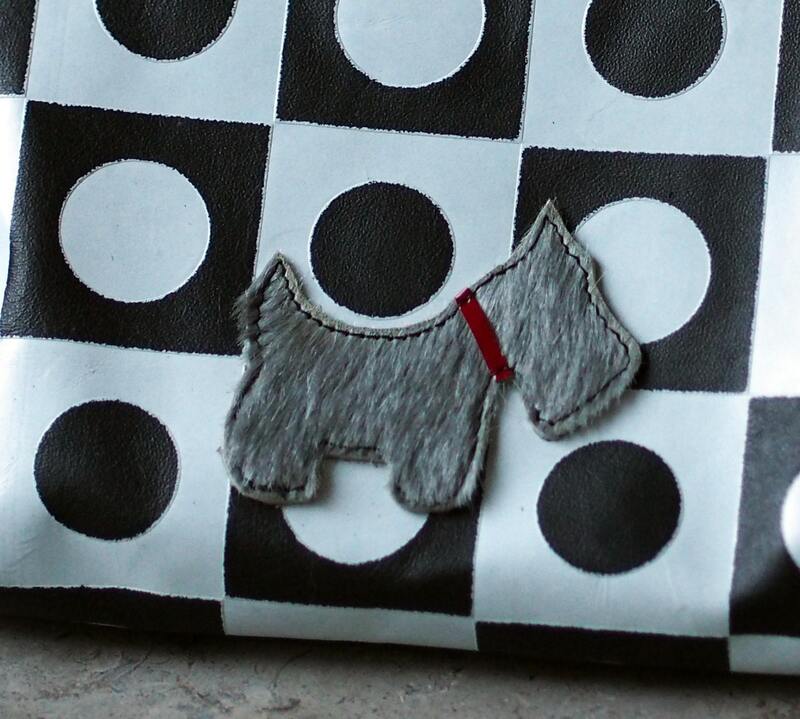 I took the Scottie dog shape from the print to make an applique with grey "pony" (hair-on-hide cowhide) with red patent leather collar which is glued and stitched one side. 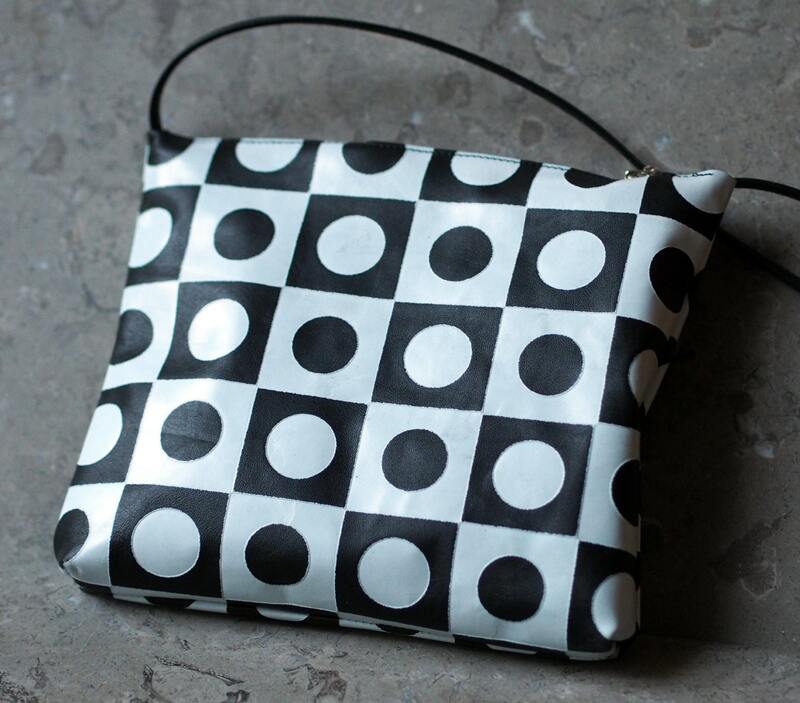 The bag closes with a nickel finish 8" zipper with a stacked cube and sphere zipper pull. The overall width is about 10" and 10" tall with 1" boxed bottom. 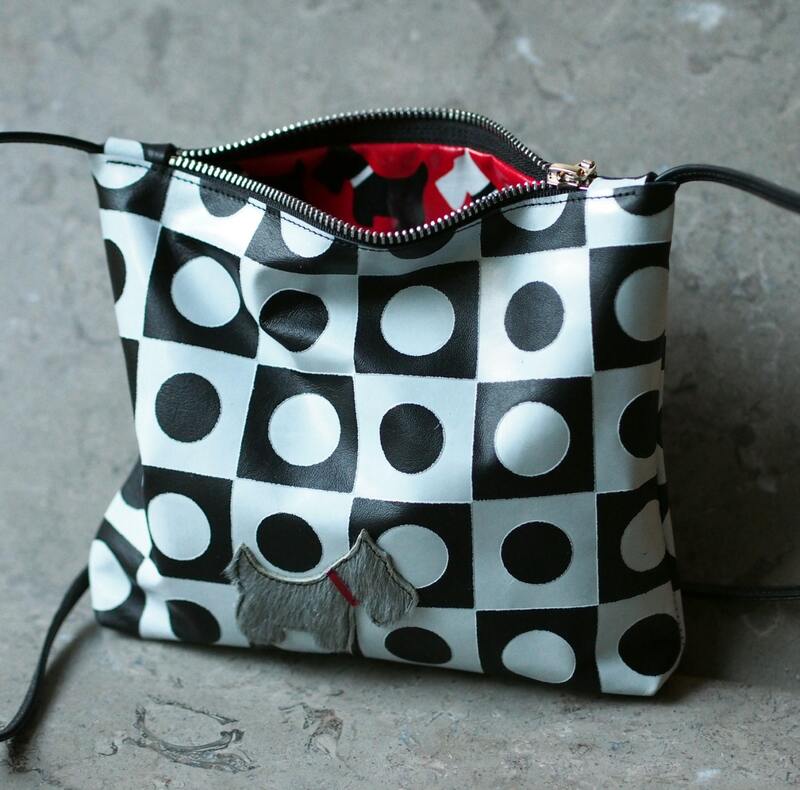 The leather is thin and supple, and the bag can be kept flat or easily rolled up. The calf skin strap can be used for cross body wear, or re-knotted to suit your preferred use/size. 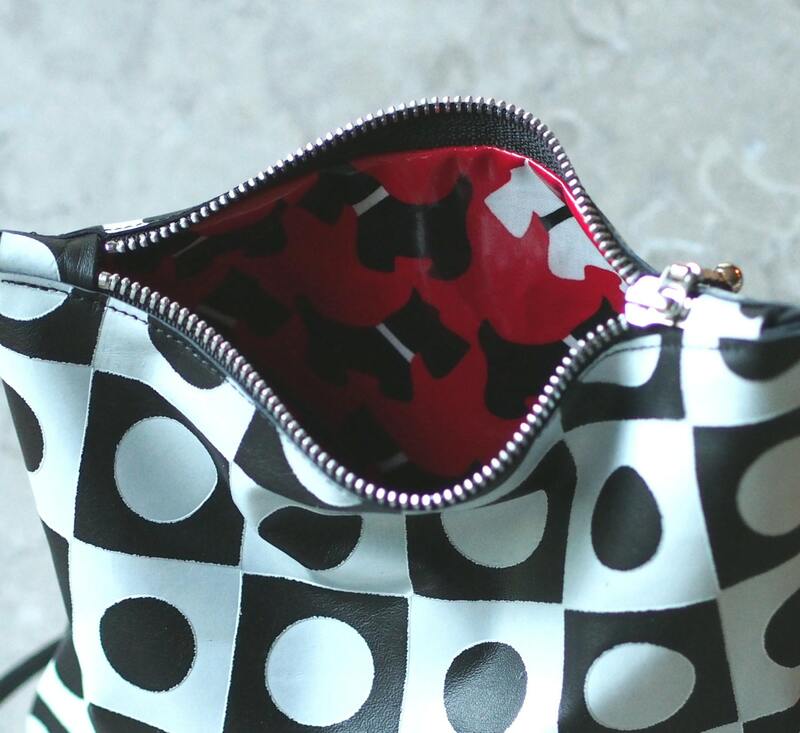 But the strap can also be removed completely for use as a clutch or inside larger bags or luggage to hold cosmetics or most tablets and other necessities for a small purse. The leather is commercially printed, and also is slightly embossed and the black areas are slightly higher than the white background. Shipping is based on gently folding or rolling the bag into a USPS small flat rate box.